Starting the year out right! 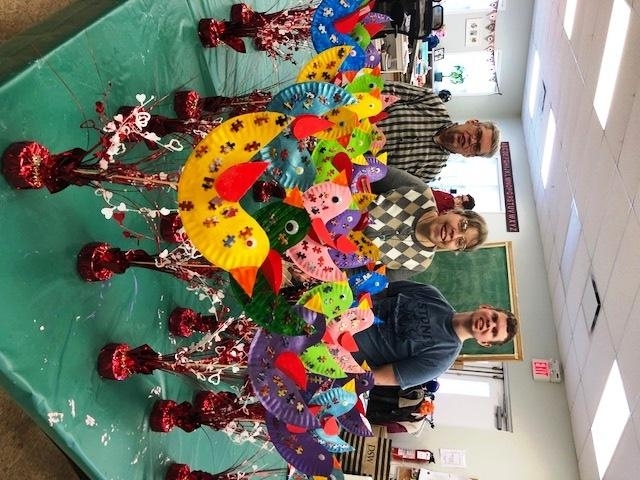 The clients of Mary Mavec with their handmade, Valentine Centerpieces. 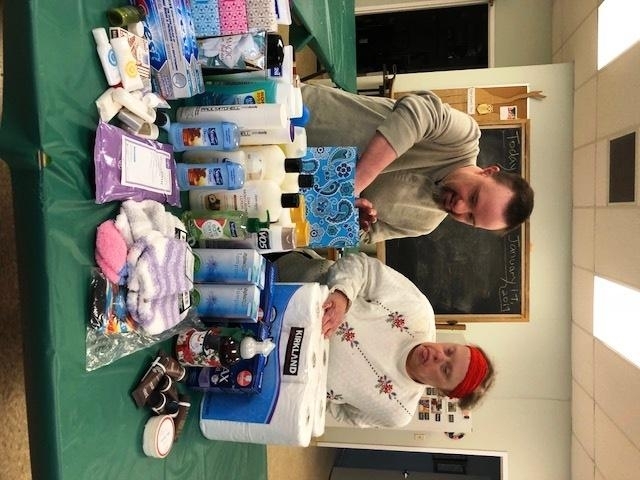 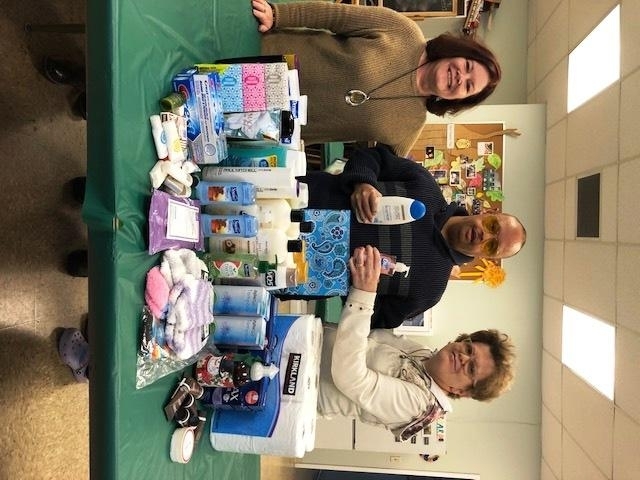 The staff and clients of Mary Mavec packing up toiletries for a Women's Shelter.